The second Design-Your-Contest has been underway for a couple of days, and we’ve already received a ton of submissions! If you haven’t seen it yet, check out this post on our facebook page! This is the first phase of the contest, where it’s all about the skills and backstory. The visual side will be for another contest. The most important tip we can give you is try to create a total package. Make sure the skills fit well and synergize well with each other and the story fits and explains how he/she/it got those skills. 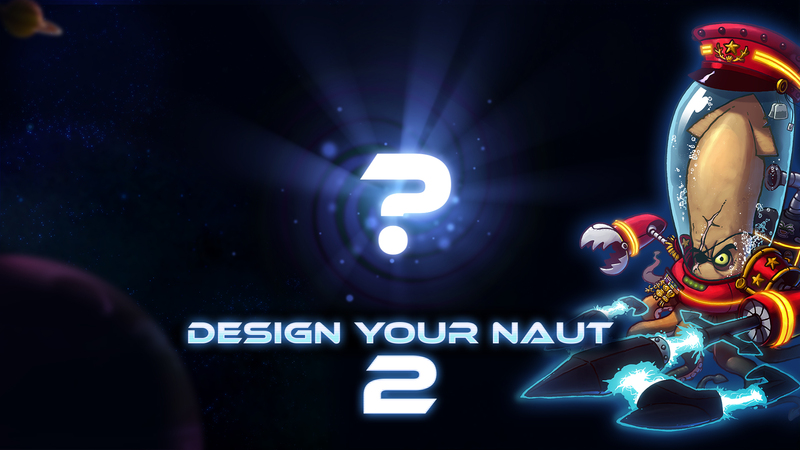 The last contest resulted in the venerable Admiral Swiggins, and the next Naut could be yours! If you win, you’ll not only have your idea implemented ingame of course! There’s also some sweet loot in it for you: A limited edition Clunk statue, an Awesomenauts t-shirt, an exclusive ingame icon and be named in the credits! The top 5 will all receive an exclusive ingame icon and a t-shirt! So start your creative engines and fill in the survey below! The submissions are open until Sunday September 27th, Midnight PDT.